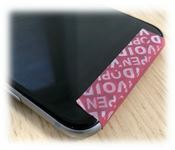 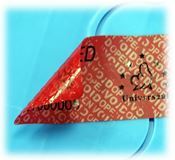 Destructible: any attempt to remove the security label will cause cracking and erosion, making tamper attempts obvious. 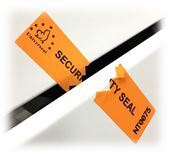 Our security tape is available in residue & non-residue options, with/without security marking, as well as optional security numbering and perforations, for high degree of tamper-evidence. 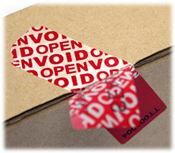 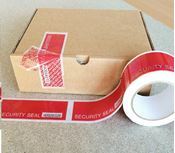 As well as our stock items (available quickly and in many standard sizes), we are also able to offer completely bespoke security labels, stickers or security tape, produced to your size, specification, marking etc.